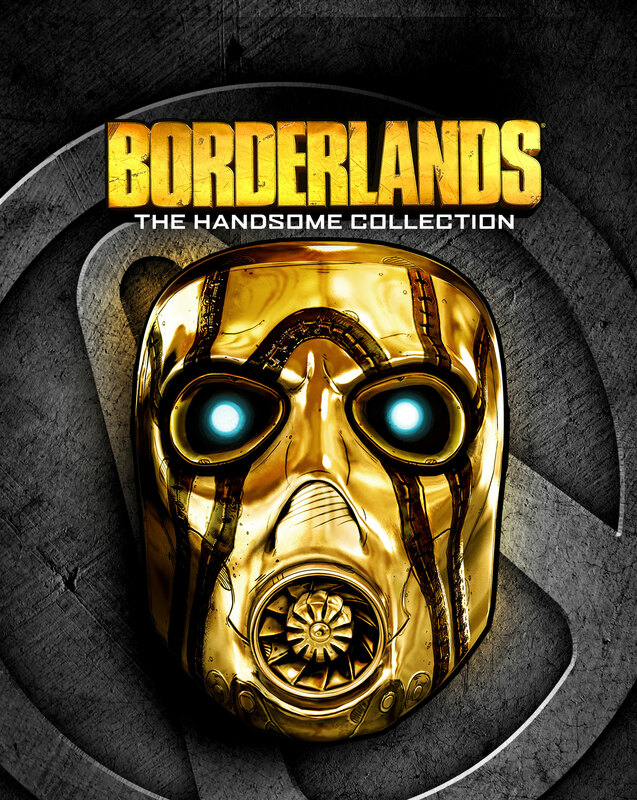 Continuing our journey through the playable characters in Borderlands: The Handsome Collection, today we’ll look at Nisha, the Lawbringer. 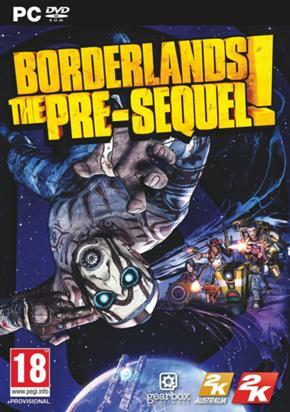 She originally appeared in Borderlands 2 as a boss – the Sheriff of Lynchwood. In The Pre-Sequel we find out a bit more of her background. She’s a pretty cool character – in particular her whip melee attack; and her pretty fantastic action skill Showdown. Nisha’s action skill Showdown has her auto aiming onto enemies – you can switch from target to target with the right stick. While you’re in Showdown, you have extra gun damage and fire rate, along with reload speed accuracy and bullet speed. It’s a really awesome way to clear out full rooms of weaker enemies, and also great for dealing solid damage to bosses. Her first skill tree – LAW AND ORDER – is built around the Order stacks you’ll be generating. You have to take both Law and Order to progress down the tree – Law gives you extra shields and melee damage, and Order has you gaining stacks for every 15% of your health in damage you take. Order stacks give you a 1.2% chance to heal double the damage taken. As you go down this tree, you’ll grab skills that tie in with Order stacks, including the other stacking mechanic Wanted. Wanted is triggered by those enemies that deal Order damage – and Wanted makes those targets more susceptible to damage. It’s got some melee boosts too, which with the whip you wield as your weapon, is actually a really viable way of fighting. Which ties in perfectly to the capstone skill – Thunder Crackdown. It not only increases your max Order stacks, but also has your melee attacks unleashing a cone of lightning – which deals extra damage the more Order you have stacked. Her second tree – FAN THE HAMMER – is more about gun damage, in particular pistols and Showdown. You have skills that change it in various ways, like Ruthless, which extends the duration of Showdown; Bottled Courage, which restores your shields when you activate it; Gunslinger, which reloads your weapons a bit when you enter and exit Showdown; and High Noon, which gives you extra gun damage the longer you’re in Showdown. Combine those with the capstone skill – One for Each of Ya – which spawns a duplicate pistol in your off-hand when you equip one, and you have a really dangerous action skill class. Her final tree – THE RIFLEWOMAN – is more built around rifles and hip-firing than anything. You have skills that increase your accuracy and recoil reduction hip-firing (Snap Shot) and others that increase your damage and fire rate, after reloading while hip-firing (Quick Shot). The other big focus here is magazine size – there are a couple skills here that increase the number of bullets in your guns. Your capstone skill here is The Unforgiven, which has your shots ricochet between targets you hit while in Showdown. The real nice part is that any target you hit while in Showdown explodes at the end. 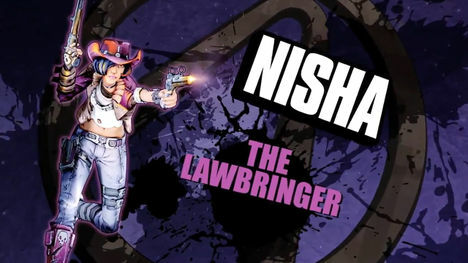 Nisha doesn’t really have a ton of co-op focused skills in there, but still can excel in both solo and co-op games. She’s a good party member to have mainly because of the sheer damage she can dish out – and it tends to be damage that’s not elemental based, which means she’s not restricted with weapon choices. She’s a lot of fun – if for no reason other than her whip.